In a matter of seconds Marine Cpl. Todd Nicely’s life was changed forever. After the blast and while he was flying through the air, he knew “they” had finally got him. On March 26, 2010, while leading his patrol back to base camp in Afghanistan, Cpl. Nicely stepped on a pressure plate mine. The blast almost instantly took all four of his limbs, forever changing how he would live his life, if he would live at all. Nicely would survive the blast, becoming a quadruple amputee, as well as an inspiration for others. He considers himself lucky and fortunate that he and all of his men came home from that fateful deployment alive, and would get to be with their families and friends once again – a testament to his warrior spirit that lives on to this day. Hear how Todd Nicely survived more than just the explosion that nearly took his life over 8 years ago, on this very inspirational episode of HAZARD GROUND! If you shop at Amazon, go to www.hazardground.com, click on the Amazon banner on the home page, and do your Amazon shopping from there. IT COSTS YOU NOTHING, and it helps the show out tremendously! THE BEST PART IS we’ll be donating proceeds from this partnership to the vet organizations featured on this podcast. 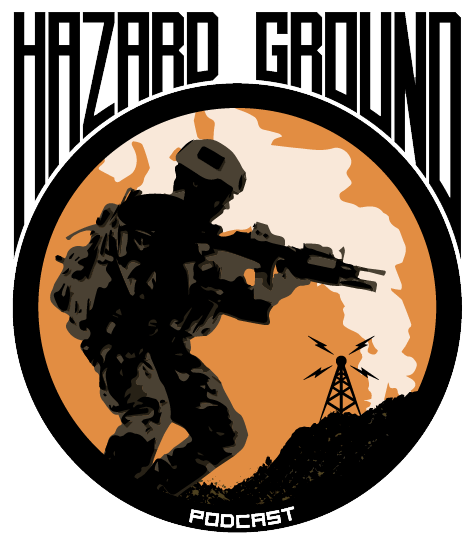 So help us out, help out these great organizations, and head over to hazardground.com and click on the Amazon banner today, and shop away!